… about whom I once wrote a little poem. By the way, did you hear the apocryphal story about when Johnson was asked by a Scot what he thought of Scotland (that land ‘where there is nothing to be got’ and there exists ‘a diffusion of learning’)? His reply: ‘That it is a very vile country, to be sure, Sir’. To which the young Scot rejoined, ‘Well, Sir! God made it’. ‘Certainly he did’, quipped Johnson, ‘but we must always remember that he made it for Scotchmen, and comparisons are odious, Mr. S——; but God made hell’. 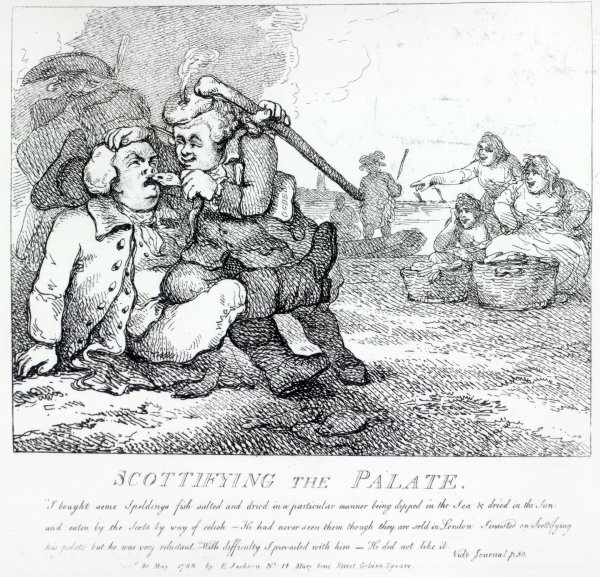 ‘Scottifying the Palate’, from Picturesque Beauties of Boswell, Part the First. 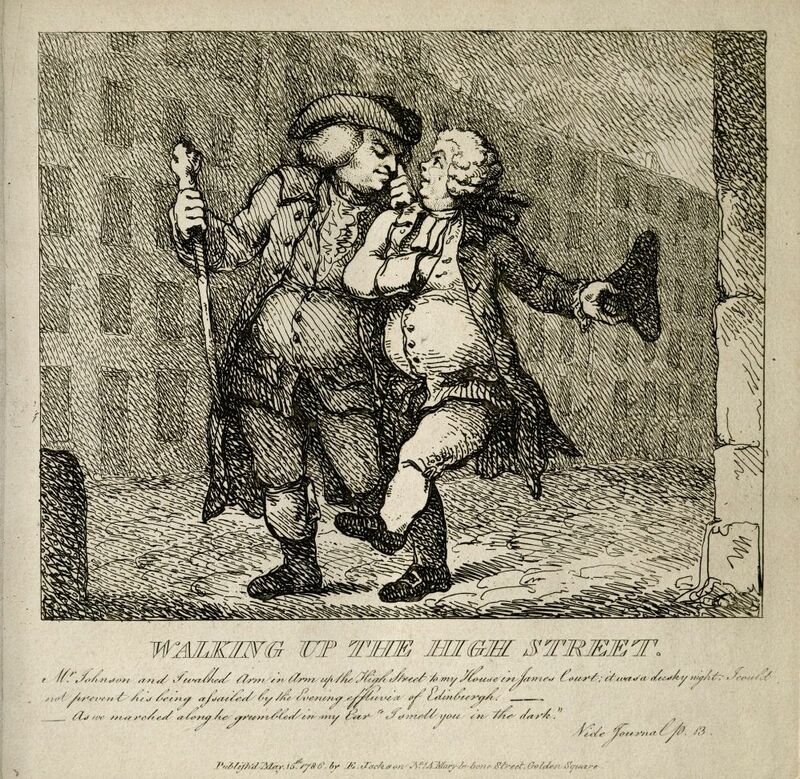 Etching by Thomas Rowlandson, 1786.